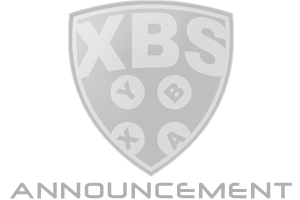 Please join us for our last XBSHL season with NHL 14 and the XBox 360! Season 14 registration is open and ready to start taking applications! Please be sure to read this post and follow the correct procedure. As every season, everyone (Owners and members alike) must sign up via the scoreboard. As you will see your players position preference has been cleared out and needs to be filled in again. This is to prevent accidental position preferences from past seasons being displayed giving owners the wrong information. NEW PROCESS BELOW - Be sure to read! Once you sign up via the scoreboard, there is still one more step that has to be completed. We have added a new process in which we are asking EVERY member to fill out a "positional draft card" in the specified thread. This card will ask members to select how often they wish to play a certain position. One of the biggest problems we have faced over the past few seasons after the draft is players being selected at positions in which they refuse to play after being drafted. This "positional draft card" is put in place to help the Owners determine what position to draft the player for. Step 2: Fill out the "Position Draft Card"
Last edited by BTW8892; Mar. 4th, '16 at 11:40 pm. Sounds like it'll be a blast. I'll be sitting out the first half as I have a job offer to consider in Winnipeg, if taken, I'll need to move and pack and unpack and all that good stuff. But I should be good for the stretch drive so I will register later. A reminder to guys signing up. I see some guys that have their position draft cards filled out, but they have NOT signed up in the scoreboard. You must do both. Yep, once we finalize details. how long are the sign ups open for? Right now we are looking at number of teams for the upcoming season....we anticipated a little drop in signups with the summer being here....same thing happened last year. I'd expect something posted with a little more detail at some point this week Scott. for sure, even dropping down to 6 teams for the summer would be crazy fun! really looking forward to this upcoming season.